Although most drugs spread from the city to rural areas, the stimulant crystal meth has the opposite effect. Meth has its roots in rural areas because of the way it is produced. However, first we’ll look at a brief history of the drug. Methamphetamine was first synthesized by a Japanese chemist in 1893 from the recent 1887 German development of amphetamine. Yet, it was not used for much until World War Two when German forces began using it to keep soldiers awake and alert on the battlefield for longer periods of time. After the war it was occasionally used as a diet pill or an antidepressant. Eventually, the drug became commonly abused by truck drivers or young people as a performance enhancer or recreational drug. It was eventually made illegal but people still desired a way to produce the drug on their own. By the time the drug was named a banned substance in the 1970’s the only way for people to get their hands on the drug was to produce it themselves. This meant that people needed to create their own space to produce the drug, which led to the rise of “meth labs.” These labs are often right in the homes of those trying to produce the drug and they are extremely dangerous. Oftentimes, these labs will cause explosions and injure and kill those trying to produce the drug and any innocent bystanders. It is common for meth users to have progressed to the drug from other stimulants, such as cocaine or crack cocaine, and what strikes these users is just how much more powerful crystal meth is than those drugs. In fact, crystal meth is exponentially more powerful than just about any other stimulant. Crystal meth production requires a number of ingredients with the pseudoephedrine found in many over-the-counter cough medicines being a prominent one. Meth is sold in crystalline form, which regularly appears like glass shards varying in color from clear, to cloudy white, to light blue. The drug is usually smoked using an apparatus designed specifically for meth, but it can also be insufflated, inhaled or injected intravenously. Crystal meth users will experience an intense burst of energy immediately upon ingestion. The user will become extremely alert and hyperactive with a profound increase in physical activity. Joining these effects are an increase in blood pressure and rate of breathing, a spike in body temperature, sweating, potential aggression, paranoia, euphoria, lack of appetite, and insomnia. Continued use of the drug creates a dependency in the body due to an adjustment to the constant presence of the substance in the system. Basically, continued use creates a dependency on the drug to produce energy for the body, as the brain stops calling for the production of natural sources of energy. Therefore, an addict who stops using crystal meth will experience withdrawal symptoms. In order to break this addiction a user needs to get their brain chemistry back to the way it was before their exposure to crystal meth. What are Symptoms of Crystal Meth Withdrawal? Withdrawal may begin as soon as a couple hours after the person’s last drink or as long as a couple of days, hinging around the seriousness of a person’s drinking problem and the amount they consumed last. Aside from crystal meth being so dangerous to produce, it is also highly dangerous in its addictive properties. Long-term use of the drug almost always results in the user becoming addicted and the effects the drug has on them are catastrophic. Crystal meth can thoroughly ruin your physical and mental health. One of the most infamous symptoms caused by the drug is “meth mites,” where users destroy their skin trying to scratch off non-existent bugs. However, most addicts are afraid to stop using the drug because they do not want to experience crystal meth withdrawals. Due to the fact that it is a central nervous system stimulant, one of the main withdrawal symptoms is profound drowsiness and lethargy. Because many addicts stay awake for days to weeks at a time on the drug they report a struggle to stay awake while withdrawing from the drug. Crystal meth also tends to eliminate its users appetites and as a result many people going through withdrawals report extreme hunger. 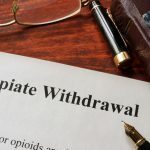 Unsurprisingly, another ubiquitous symptom of withdrawal is an intense craving to use crystal meth, which is part and parcel why the drug is so hard to stop using. Additionally, people going through meth withdrawals may experience acute anxiety, paranoia, depression and in some cases psychosis. Crystal meth detox length can be particularly hard to parse as there is a lot of variation in the time needed for different people to detox. The drug takes about ten hours to exit the body but it could take moderate users 2-5 days to detox while heavy users may need up to 10 days. There is no exact science to determine how long any given patient will take to successfully detox from crystal meth. Each individual has different needs, backgrounds, and experiences that cause them to react differently to the process. Some people may struggle more with the physical side of their addiction while some may be more affected by the mental aspects of quitting. For this reason, there are a myriad of different types of treatment centers that each address a unique set of detox demands. Every detox patient has their own specific timeline.